With the Earth–Sorry for the early digression, but isn’t it weird that we call dirt “earth” like it’s a lesser Earth, like the inadequacy issues that Michael Jordan’s son would feel on top of the already large issues he faces if Michael forced his son to spell his last name with a lowercase j. Where was I? Oh yeah, the beginning. With the Earth having tilted its axis to thrust the Northern hemisphere closer to the Sun, those of us forced to bake in the Sun’s cancerous rays are faced with Summer. Once you become an adult, there are a lot of bummers to Summers. The built-in babysitter of school is out and the impulse-driven youth run rampant upon the earth (and Earth). This becomes increasingly concerning in the States when it coincides with the most popular celebration of explosions: the 4th of July. The availability and proliferation of fireworks creates an anxiety due to the ever-present danger posed by irresponsible children and drunks in possession of explosives. Preceding July 4th, in my neighborhood children with bottle rockets aiming their fireworks into the trees lining our streets (when they SHOULD be pointed at each other like responsible children–Did I mention I run an orphanage?). 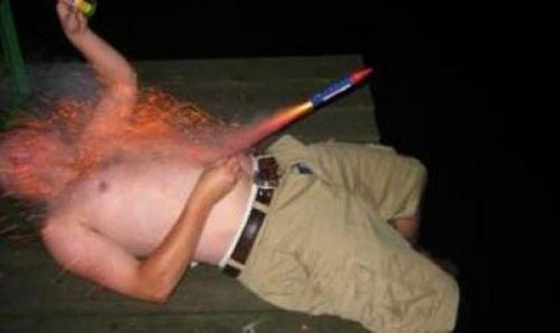 During the 4th of July celebration, people have been drinking all day to pre-party for boom-boom-stick handling, hence the deaths of two unmournable nimrods, one who launched a firework off his head, the other who used his chest as a launchpad. Don’t worry, that species isn’t endangered, we still have an overabundance of blisteringly stupid drunk dudes. Now, for the week following Independence Day, neighborhoods across the country, already oppressed by the ozone-dissolved heat, are further plagued by the intermittent pops and kabooms of leftover fireworks. This is either a view of how every teenager pictures their M80 fun times or a fireworks show where a malfunction set all of them off in 30 seconds. I just heard three random firework pops. The 4th of July was on Saturday and this is Wednesday. The angry thoughts these sounds conjure lead me to wrongfully wish that each of those firework explosions resulted in a missing digit. Harsh? Yes, but these are garbage people. This is part of why I hate Summer. I will organize an intervention for those who are still, four days later, still setting off fireworks. Yeah, it’s no fun when you work in a sketchy area. Firework or gun shot? Should I duck?! WHAT IS HAPPENING?!?!? You’re a bitter, bitter pickle. At least those idiots eventually run out of fireworks. The area I lived in before we got the house had a few who bought enough to keep setting them off intermittently after Independence Day (which is in August for us) right up until they got reloaded for New Year’s. After that… it’s anyone’s guess how long they’ll keep it up. So funny you mention this, as I heard a couple of booms last night (Wednesday), and my dogs definitely heard them. Enough already! My brother has no feeling in part of his right hand because when he was a little kid, he emptied the powder out of a firework and lit it up with a magnifying glass. I still remember him coming back into the house with the skin of his hand peeled up to around his wrist. My own kids don’t get to experience this sort of thing because we live in the city and there are no other kids around the neighborhood. Did you ever notice that there are no deaths of women from fireworks. Maybe it’s because women ARE smartest of the human race. Makes you think, huh. I live in a pretty crappy area and we’ve had drive-bys before so this last week has been stressful for me -fireworks or gunfire? Sometimes, you can tell, but sometimes (especially if it wakes me up) who knows? 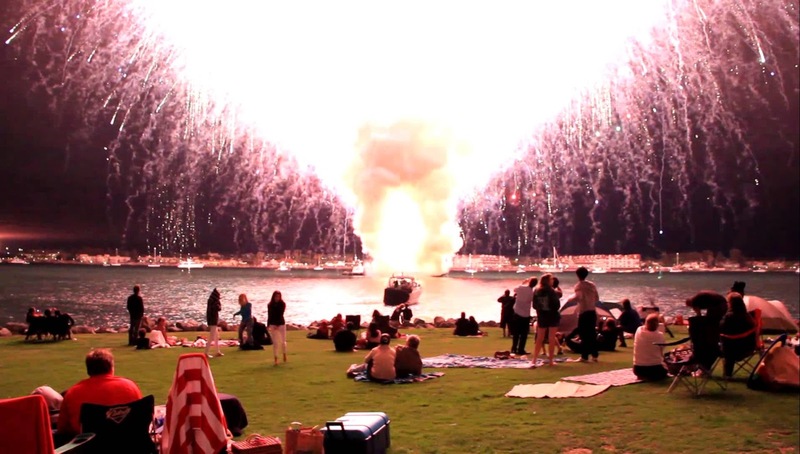 All those extra setting off of fireworks is like a totally idiotic thing to do. Not only is it dangerous when not at a controlled public display, we have to think of the fear a number of our animals suffer with from it all. Now then, why do we call our “bottom” a bottom? After all, our bottom aint our bottom. I’m going now before I start rambling on even more incoherently…. I used to like the holiday. Now, I’m disturbed by all the festivities. If we really want to honor those who risked everything for our freedoms, why must we send them into Post Traumatic Stress by creating a stupid mock war zone with blasts and deaths and all? So what I’m saying, Pickleope Von Pickleope is this: This was another great post.